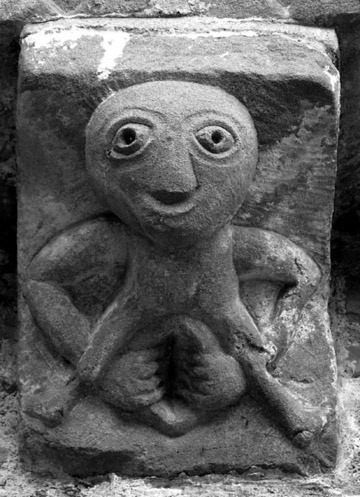 “Historians and archaeologists have long been fascinated about the meaning of the sheela-na-gig figures of Ireland, Wales, Scotland, England and other parts of Europe… My idea is that this figure was probably meant to reassure young women about the capabilities of their bodies in birth. Ellen Prendergast, in an article written for an Irish historical journal, remarked: After a lifetime’s awareness of such figures I am convinced their significance lies in the sphere of fertility, and that what is depicted… is the act of giving birth. It’s a wonderful theme for a Mandala as it all starts and ends with the Woman!